In his second and final term, President Major General Retired, Jioji Konusi Konrote was sworn into office today, few hours ago for another term of three years. After pledging his allegiance, the President took the oath of office with Chief Justice Anthony Gates administering the official swearing in. 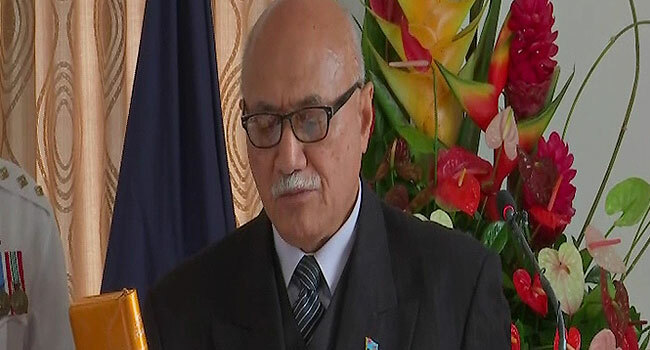 Prior to the swearing-in, the official ceremony also included a warrant of appointment that was read out by Speaker of the House Dr. Jiko Luveni. The official ceremony which was broadcast live on FBC TV was held at the Borron House in Suva with the State House currently under renovation.